Our heavy duty single pedestal table allows for area clean-up while providing super safe stability. 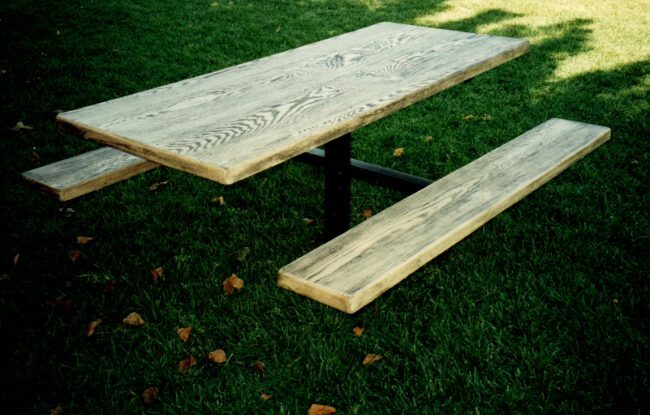 These simulated wood tables are made of sturdy, sanitary, easy to clean fiberglass that holds up where real wood can’t. This table has a 12″longer pedestal for below ground mounting only.